Laura Monaco Torelli is a queen of the clicker, and speaks around the world about dog training and puppy training. 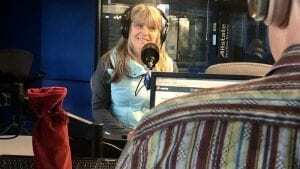 Here, she speaks on my show, Steve Dale’s Pet World on WGN Radio. Laura describes what you do first – the first thing you do regarding puppy training. Laura discusses some pro’s and con’s of crate training. Laura explains clicker training, what it is and how it works – and, incidentally, it really does work.